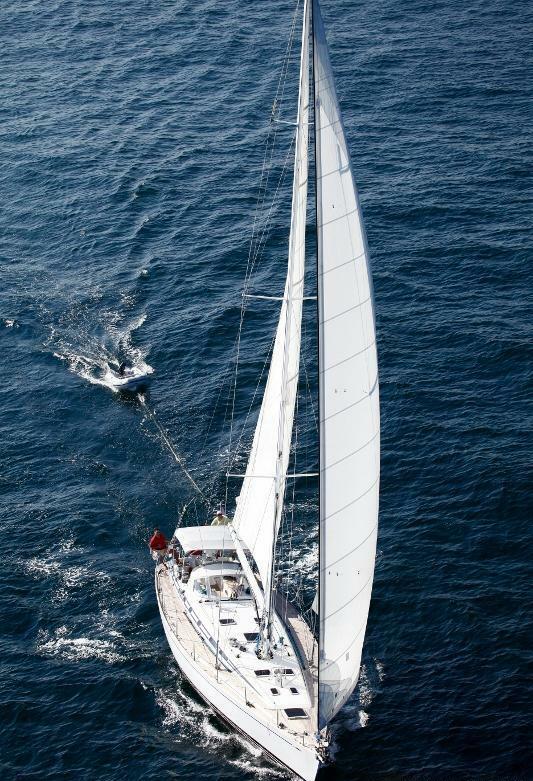 The German Frers designed Nautor Swan OLIVIA LEE was built in 2005 and measures 17m (56ft). 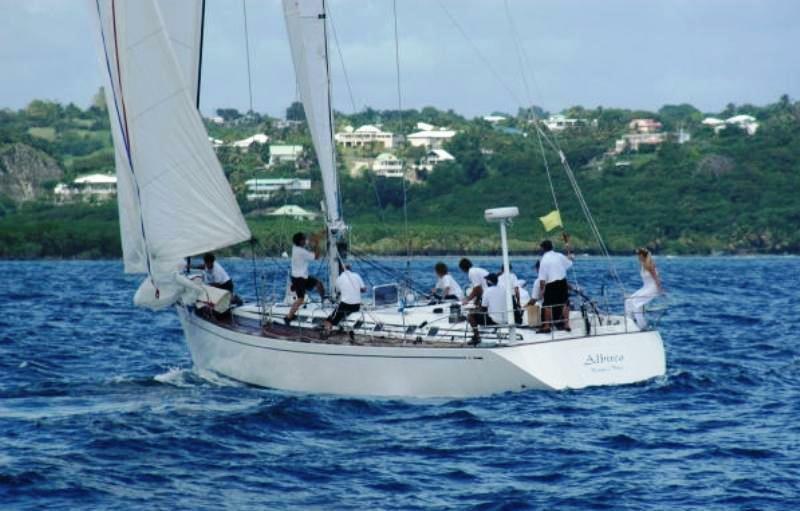 The sloop rigged sailing yacht OLIVIA LEE offers crewed yacht charters in the Leeward islands and is based in St Martin. 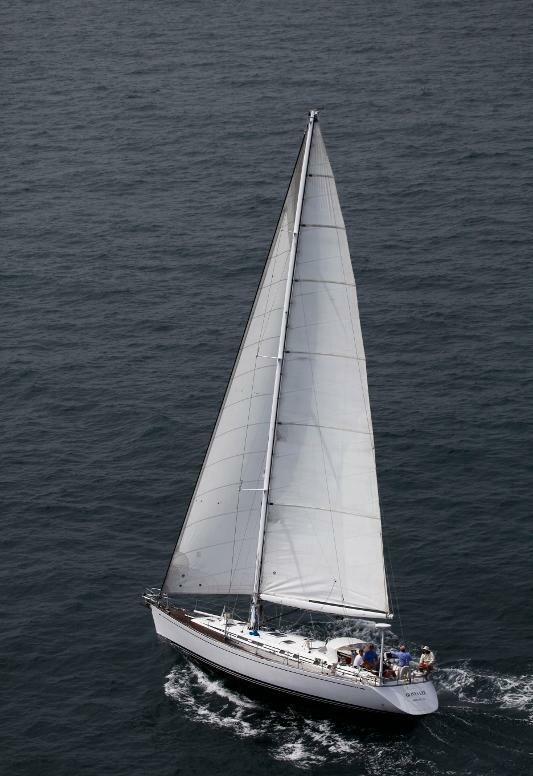 S/Y OLIVIA LEE is available for up to 6 charter guests in 3 cabins. 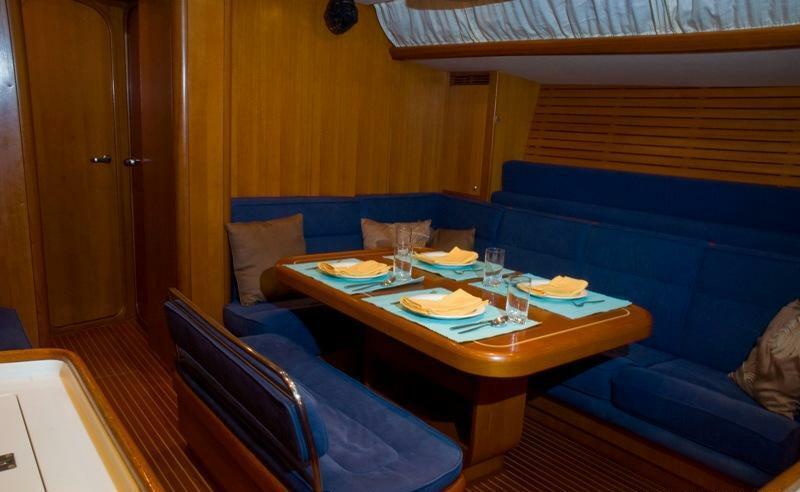 Charter yacht OLIVIA LEE has a contemporary elegant interior featuring honey warm woods throughout, teak and holly floors and subtle cream furnishings. 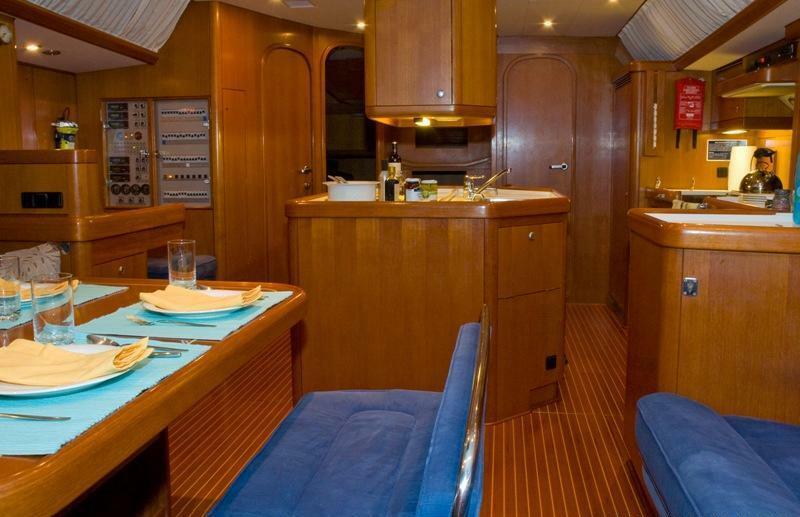 The salon, dining and galley are an open plan, making the most of a social atmosphere. 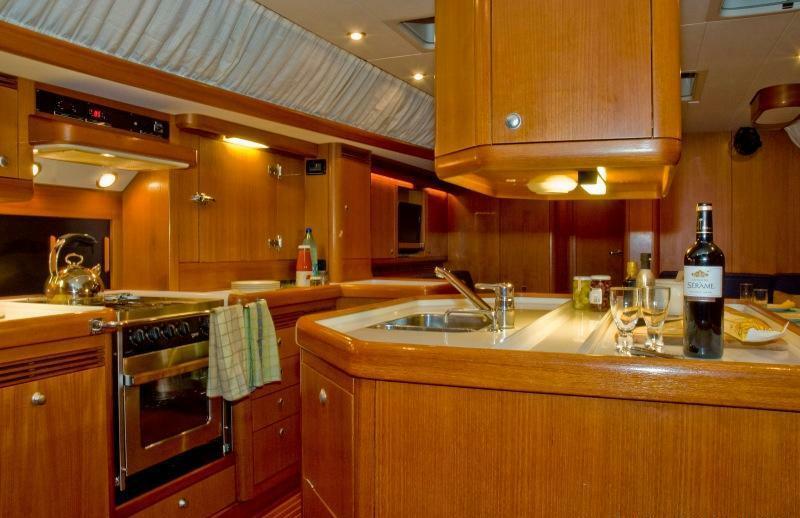 Upon entering the main companion way, the complete galley with island is on the port side, the navigation table to starboard. 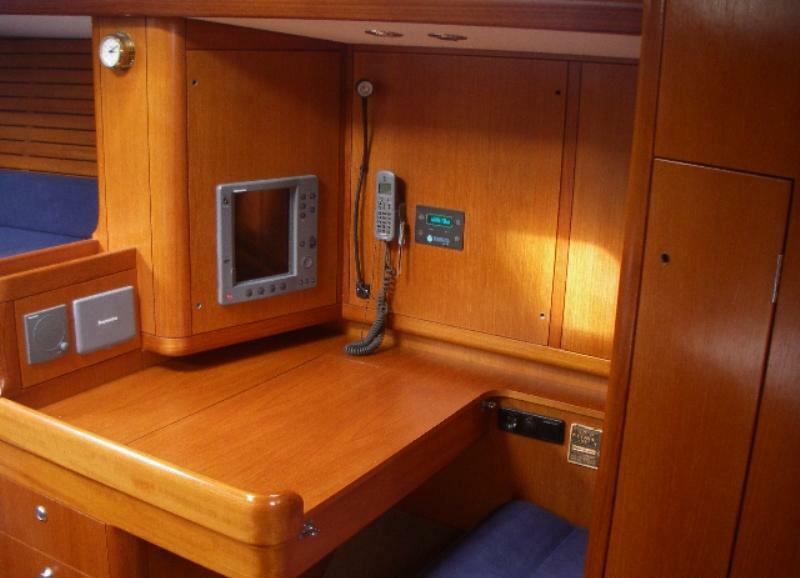 Forward on the starboard side, is a generous L shaped settee, formal dining and additional seating. 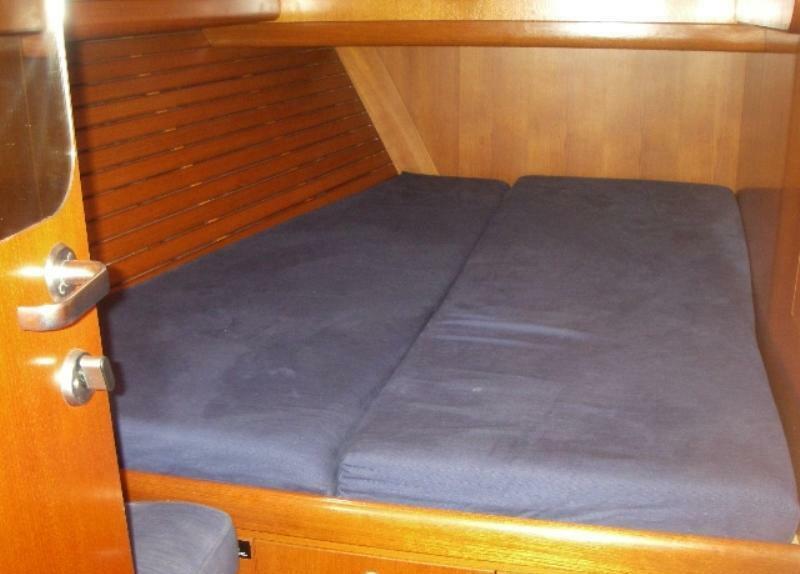 On the port side, a smaller sofa creates further relaxing space. 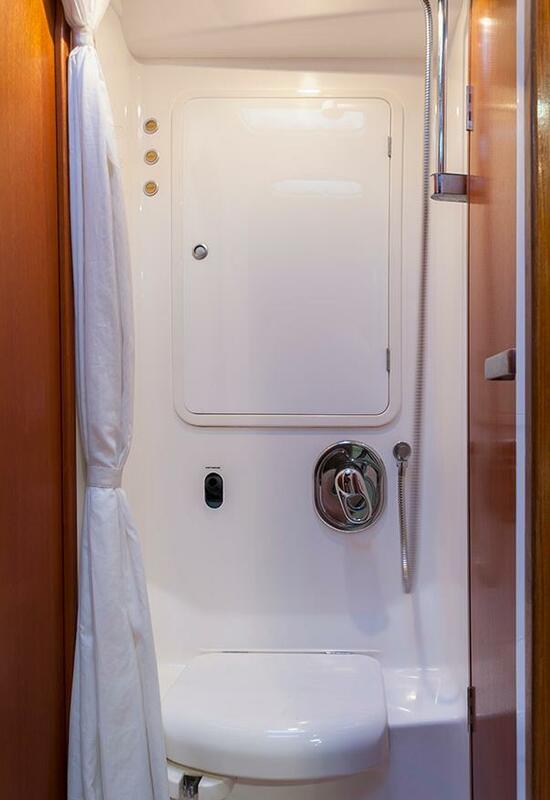 Guest accommodation is fore and aft of the salon in one master and 2 guest cabins. 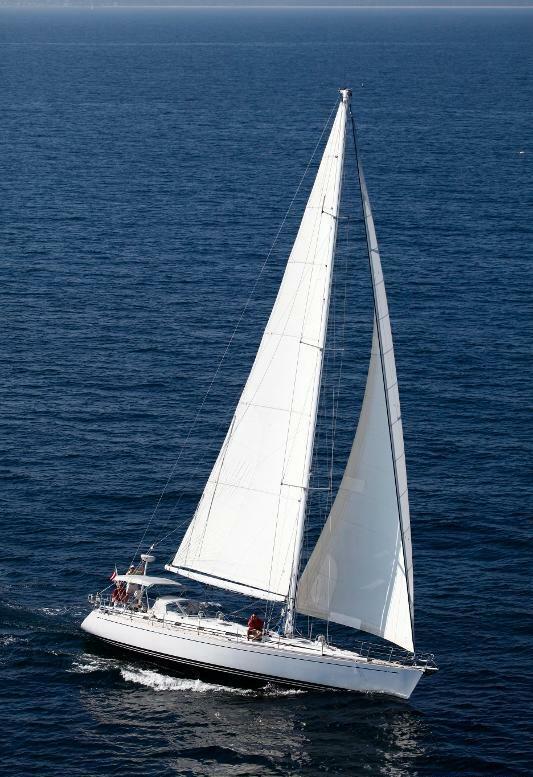 The OLIVIA LEE sailing yacht has a beam of 4.7m (15.5ft), she was built with cruising and racing in mind, and offers plenty of exterior areas to enjoy. 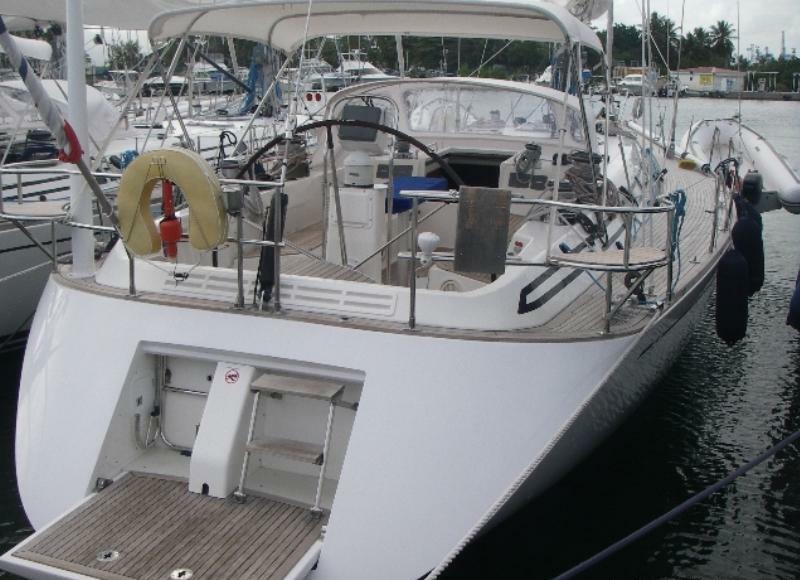 The large cockpit is forward of the helm with ample seating, an alfresco dining option and removable Bimini cover. 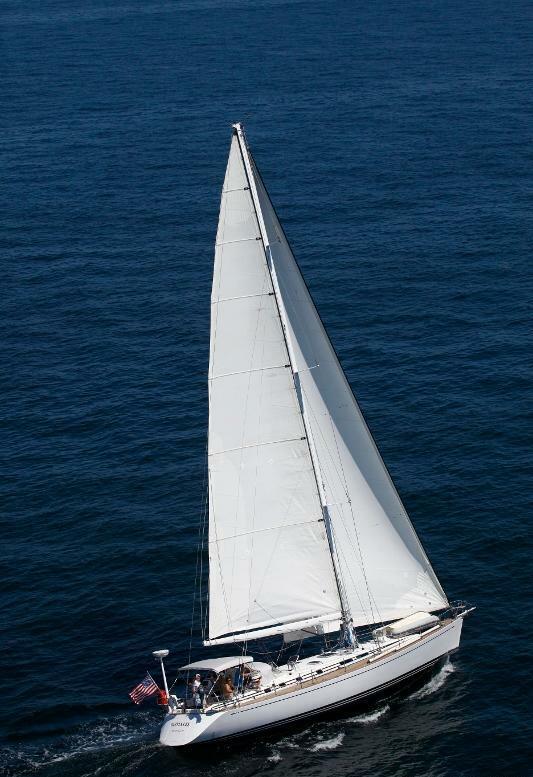 Fabulous teak decks boast additional areas to relax, while and anchor and under way. Water enthusiasts can make the most of the azure Caribbean waters from the well-appointed, fold down swim platform. 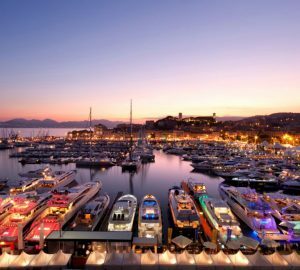 The Nautor Swan sailing yacht OLIVIA LEE is powered by a Volvo Penta turbo 75hp engine, she is capable of speeds of approximately 7 – 9 knots. 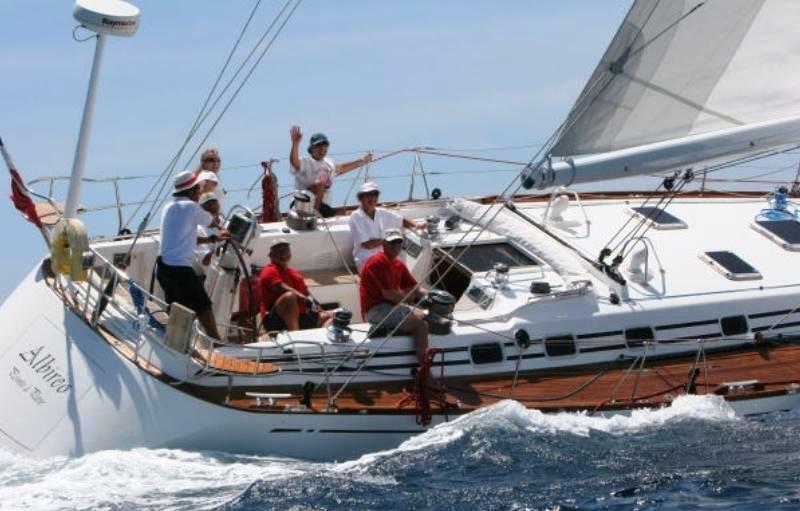 Yacht OLIVIA LEE is the ideal choice for families wishing for a relaxing sailing experience, alternatively, she is perfect for those looking to make the most of an exhilarating yachting race. 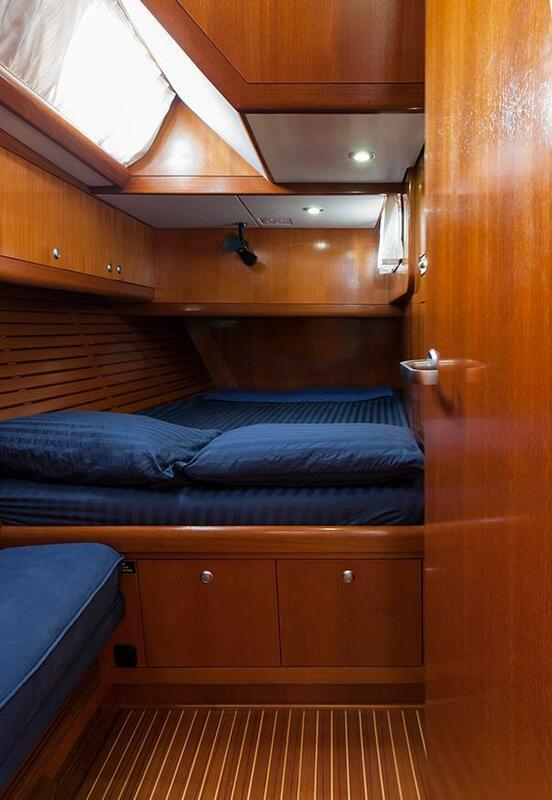 Crewed sailing yacht OLIVIA LEE accommodates up to 6 charter guests in 3 cabins. 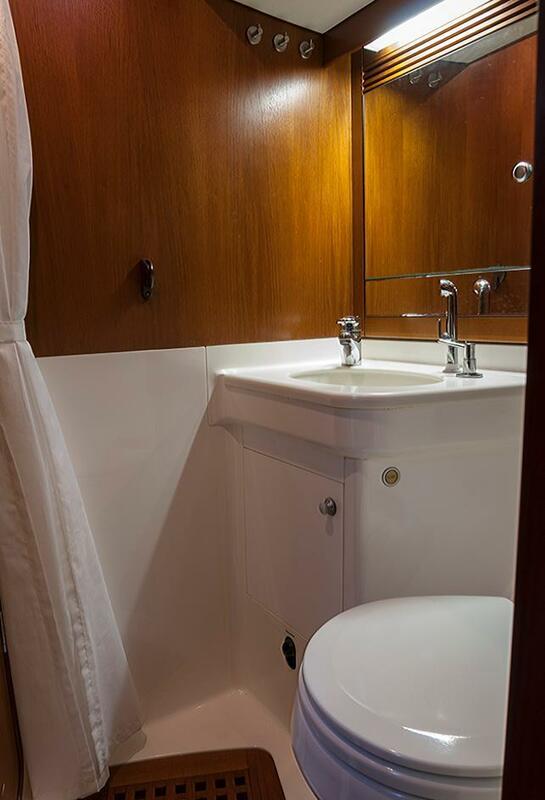 The master stateroom is aft on the starboard side offering a double bed and en-suite facilities. 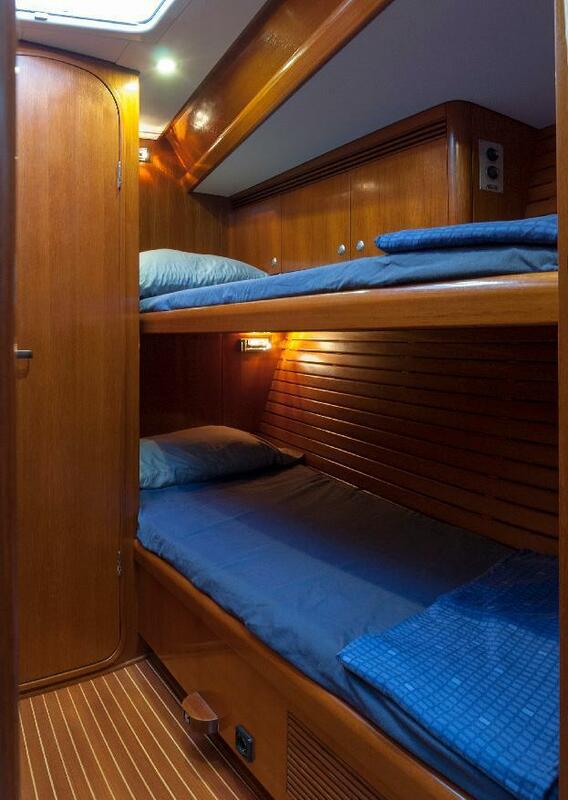 On the port side aft, a guest cabin offers upper and lower single bunks and shared facilities. 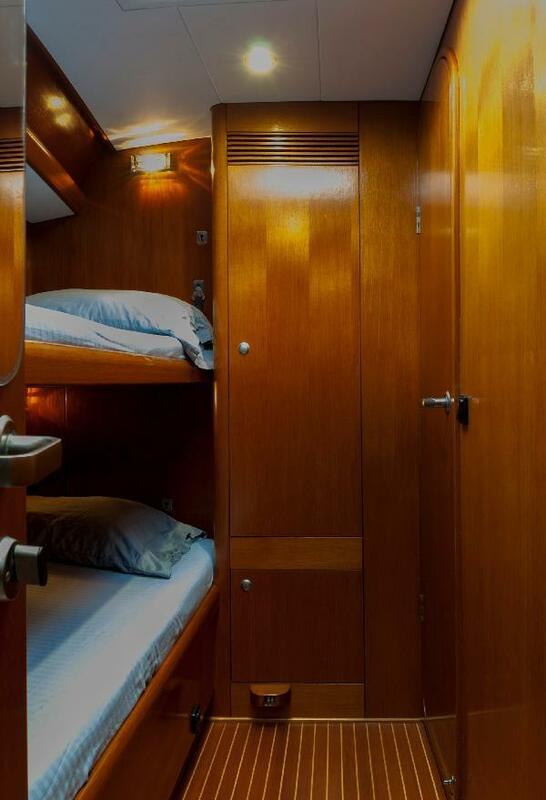 Forward, a further double cabin has upper and lower bunks with shared facilities. 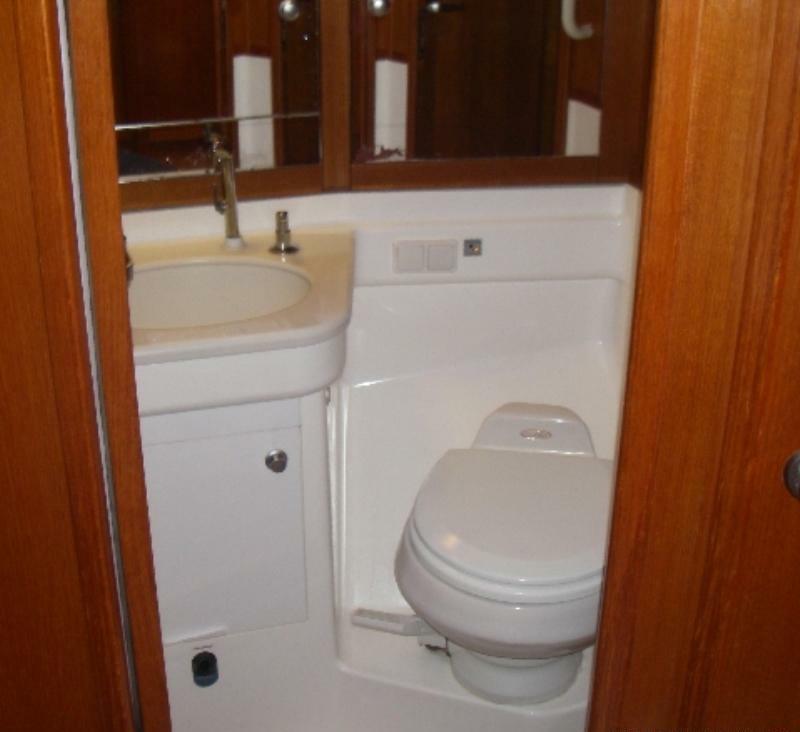 The yacht is fully air conditioned for ultimate comfort. 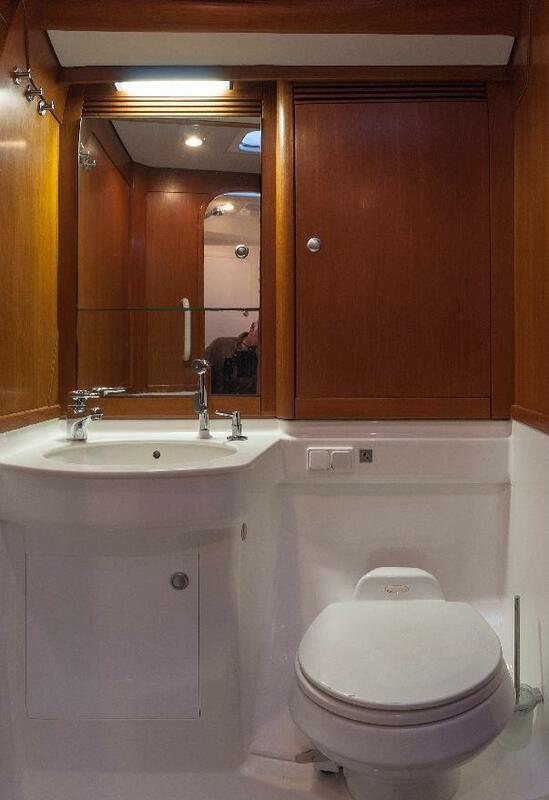 The OLIVIA LEE sail yacht has a Tender with 15hp engine, Snorkel gear, Water maker, TV/DVD in salon, Stereo in salon with IPod station, external speakers to the cockpit.